What can the UK University Sector expect from Brexit? Posted 10th August 2016 & filed under Blog, Brexit, Higher Education, Intergenerational Justice. Currently, what is the EU doing for the UK University Sector? Looking at the numbers, it’s easy to be persuaded that the UK is getting a sweet deal. Around 16% of research funding for UK universities is from the EU. Between 2007 and 2013, UK-based researchers won grants worth €7 billion from the EU’s Framework Programme 7 (EP7), second only to Germany over this period, and the UK currently wins the most projects from the Horizon 2020 programme, the sequel to FP7 in Europe’s funding series. Universities UK’s research reveals that the UK gained more than £836 million in research grants and contracts from EU sources in the year 2014/15; that is 14.2% of all UK income from research grants and contracts for that year. This figure was 15.5% of the total EU research funding allowance, showing that UK secures a disproportionately large portion of this sum, considering that there are 33 other EU member states and associated countries to apportion this money to. Around 15% of UK university staff are non-UK EU nationals, and between 2012 and 2013 5.5% of students studying in the UK were from EU countries, generating £3.7 billion for the UK economy, and creating 34,000 jobs in local communities, according to Universities UK. Sources identify that international co-authored papers have a far greater impact than domestic-only papers. Over 50% of the papers published in the UK are “international”, and this cooperation has led, over the last 15 years, to a greater productivity in UK science than in the whole of the US. Great success has come from this European involvement – and a lot needs to be answered in the ongoing Brexit negotiations. Will future EU nationals find it too tricky or unattractive to acquire these jobs/university places? Will the UK continue to get some/any of the generous portion of funding it currently receives from the European Research Area? Why is the UK university sector so important? Universities generate over £73 billion per annum for the UK economy, of which £3.7 billion is produced by students from EU countries. The European Research Area generates a third of the world’s research outputs. The UK university sector is an integral part of this, and is very successful, both in its contributions to the UK and in particular to world science. It is a credit to the UK that it has established such a stimulating, progressive higher-education platform, which the world wants a piece of. There is uncertainty over the future of schemes such as Erasmus+ and Horizon 2020 in the UK; the Department for Business, Innovation and Skills has confirmed that the status quo will remain until Britain’s relationship with the EU has been negotiated – also meaning that EU students already enrolled or applying this year will receive the funding from the Student Loans Company for which they are currently eligible. Comfort can surely be found in the commitment of 24 European University leaders to continue collaboration amongst partners, and promises by Dame Julia Goodfellow, President of Universities UK, to maintain the UK as a “welcoming destination, open and internationally engaged” – but there are certain issues that the EU will not budge on. A pertinent example of the potential headaches of leaving the EU is the situation in Switzerland, and its recent research funding woes. Switzerland bought into EU Funding Schemes, whereby it benefited from the sweet nectar of EU money in exchange for freedom of movement-related compromises… until 2014, when it was ejected from many of these projects after the Swiss public voted to restrict immigration. This is all sounding a bit familiar. As of this vote, Switzerland has a Partial Association with the EU; it has NO access to the Erasmus+ scheme (through which the UK sent 15,000 students into Europe in 2014), is paying DOUBLE what it would be paying if it were part of the EU for access to Horizon 2020, and also has NO ROLE in developing funding topics for the scheme. The UK, as with Switzerland, would most likely be given a bespoke Partial Association with EU science programmes, with similar penalties. 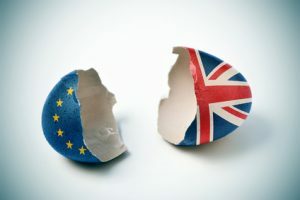 Former European Commission official Joe Gorman has raised concerns, not about issues the UK might have once it has left the EU, but about the immediate impact on UK research in the current period of uncertainty. Funding is very competitive (for Horizon 2020 funds, application success rate is roughly 12%) and with Britain’s future cloaked in doubt, it is easy to see why researchers from current EU states might shy away from committing to projects with Britons – and until deals are struck and more is known about future UK-EU relations, UK researchers may struggle to maintain their European relationships which have proved so fruitful. But what will the flow of researchers and students be like as Brexit unfolds? Will they find it trickier to enter and leave the country? More subtly, will the brightest minds in Europe feel less welcome in a country which has expressed this anti-immigration sentiment? The UK, and especially London, is an attractive area for research and business; it is well connected politically and geographically to key areas of the world. If the UK sours its relationship with the EU and makes collaboration between itself and Europe irksome, current businesses and bodies will physically relocate their headquarters to another country within the EU (as the London-based European Medicines Agency is looking to do) and future businesses will be deterred from coming to UK. It is easy to see how this will be nothing but detrimental to the quality of education and opportunity available to the young and educated in the UK. … and the intergenerational angle? If universities find themselves with deficits to plug from the drop in international students, will they again look to their remaining students to make ends meet, and increase the fees from £9000, as they are already planning on doing? Recent research by IF has shown just how extortionate the debt of a UK student has become, and unless something changes, increasing fees will further narrow the band of potential students who feel they can take on this debt. Where will be the money contributed by the European Research Area be sourced from? In the absence of this money, will the quality of the research done in the UK falter? The younger generation need commitments from the government that they will not be left to foot the bill, yet again, for decisions made by their predecessors. The UK university sector is something to be proud of, and it would be truly terrible if, after promises of freeing up all the money spent on EU membership, it all petered out into nothing. UK universities could be left handicapped by a lack of funding and less access to all the exciting new projects and people in Europe. Education is the modern tool with which to equip the younger generation, and the quality of the UK university sector cannot be allowed to suffer off the back of this vote. Putting aside all political principles, the UK’s collaboration with Europeans brings prosperity to our country, it brings advances in world science and it equips the modern Brit for the modern world. The negotiations with Brexit are going to be excruciatingly complex – and will have to extend well beyond the gung-ho “trigger Article 50” approach being touted. Surely, given its success on the world stage, and all the economic, educational and cultural benefits it brings to the UK, a thriving, dynamic university sector is something worth protecting in the post-Brexit melee.